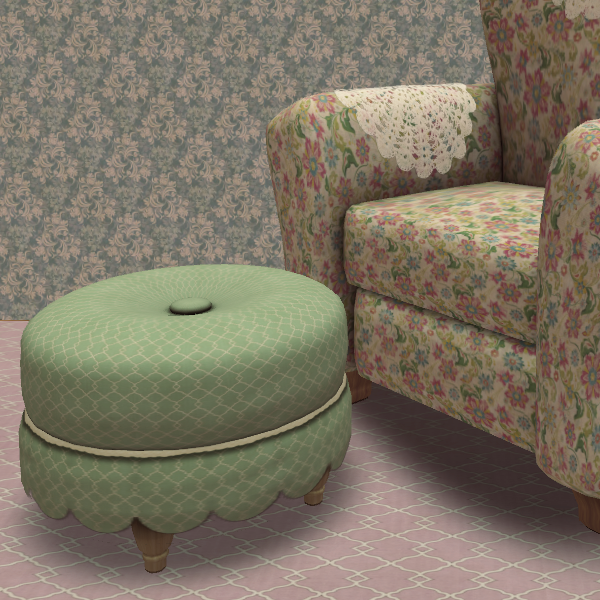 Over-stuffed and plush with button detailing this pillbox style footstool will easily find a comfy place in your builds. 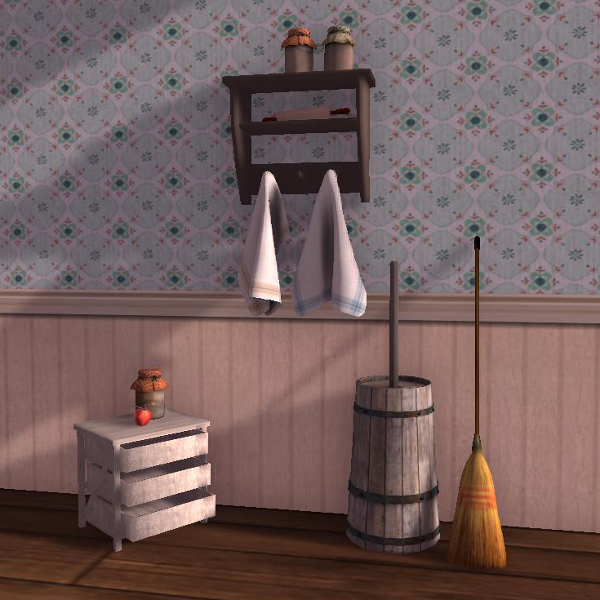 Classic lines and LOD2 sculpts are equally at home with shabby or upscale styles. The special 2 piece design makes it easy to use alpha lace and scalloped textures for a rich and detailed texturing. 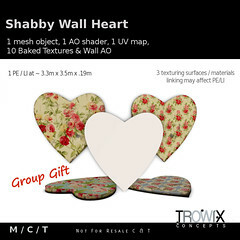 2 piece design makes it easy to use varied textures. 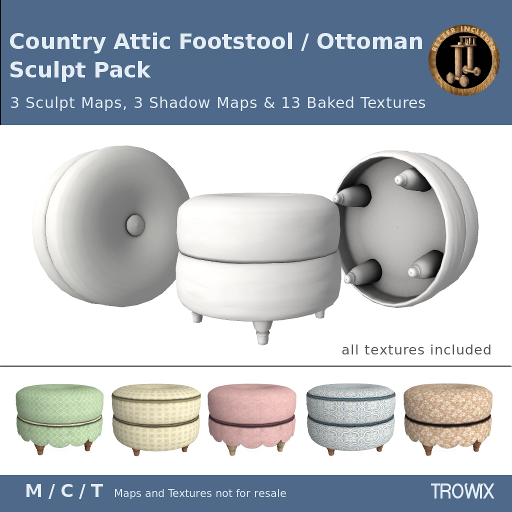 A small assortment of baked textures is included. 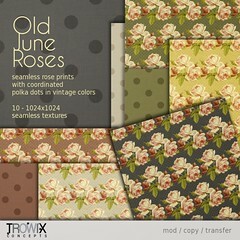 Cozy vintage memories just waiting to happen. 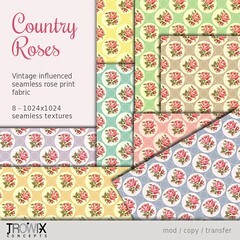 We’ve hauled this from the attic for your vintage creations. 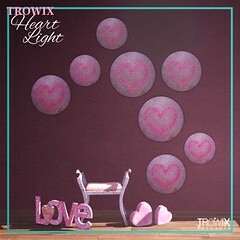 Drop by the Trowix Barn for yours, today! 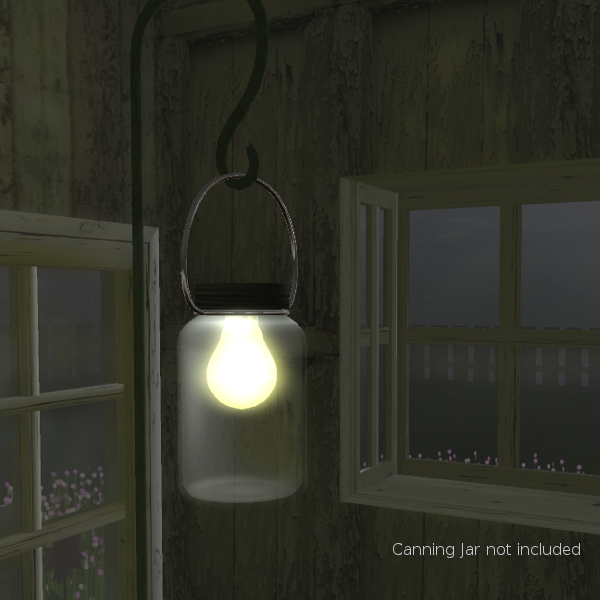 Also available on SL’s Marketplace . Wishing you a wonderful, warm weekend! 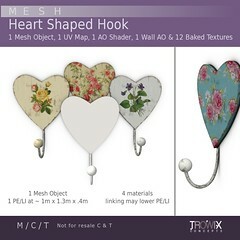 A 1 prim sculpt handle for hanging jars, pots and what-have-yous. Elevate pots, baskets, balloons, candles and more quickly and easily. 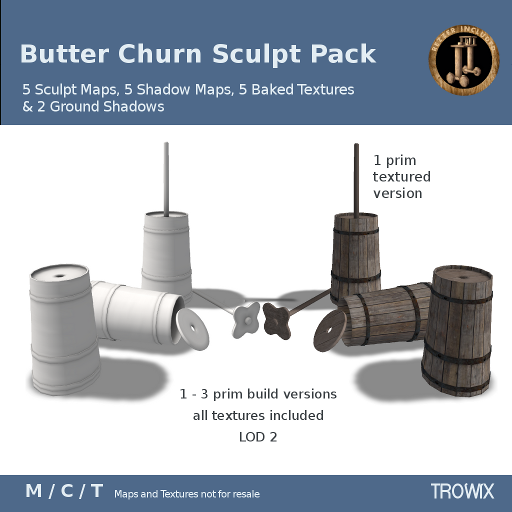 An excellent sculpt for your builder’s toolbox. The perfect fit for our canning jars & potteries. 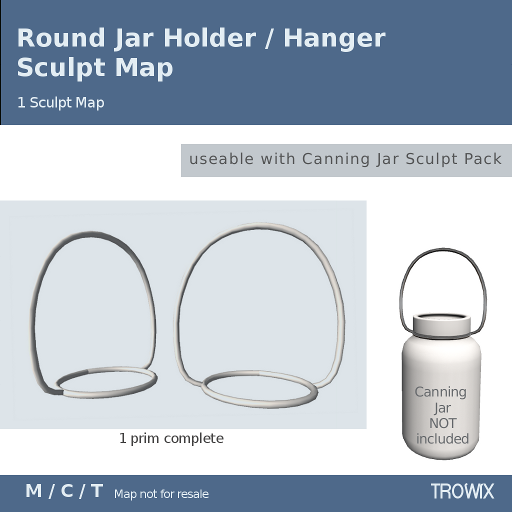 Hanger used with Trowix garden hook & canning jar. Hanger used with pottery vase, garden hanger, plant base. 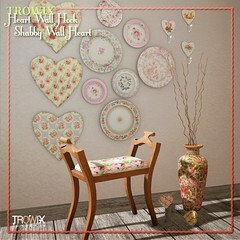 Come hang with us at the Trowix Barn! 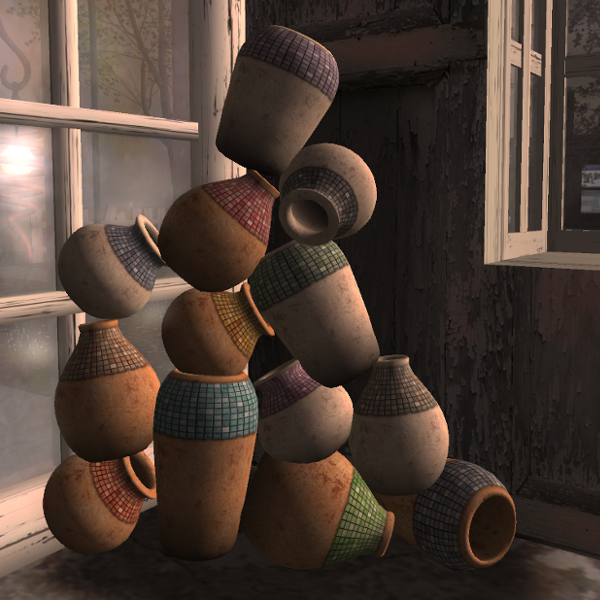 For colorful, low prim, decor-defining accents; vases are a natural choice. These potter’s style vases are encrusted with colorful mosaic tiles for a naturally colorful look we hope you’ll love and use over and over. 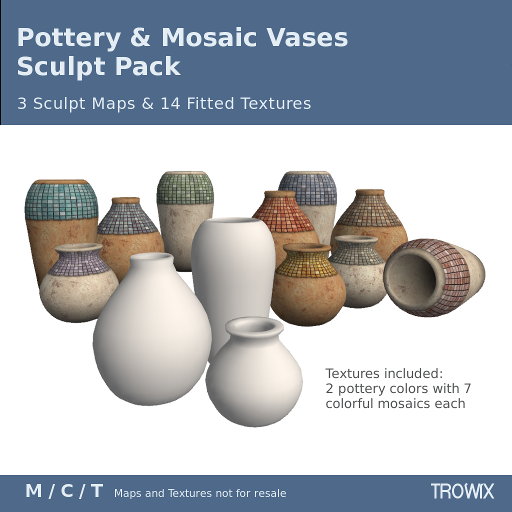 Classic pottery vases with a pretty go-with-all texture. Hope you don’t stumble on this pile! Perfect, pretty vases are at the barn, the Trowix Barn. 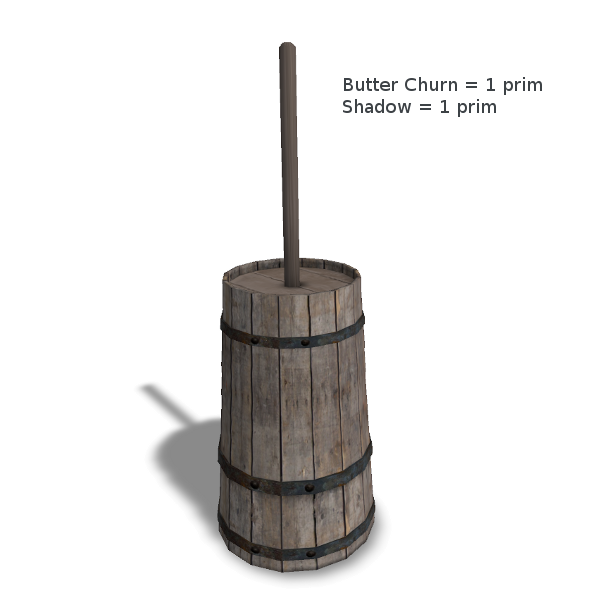 A traditional upright plunger-type butter churn crafted to provide you with multiple building choices. From a 1 prim build to a 4 prim build, all components are LOD2 or better. 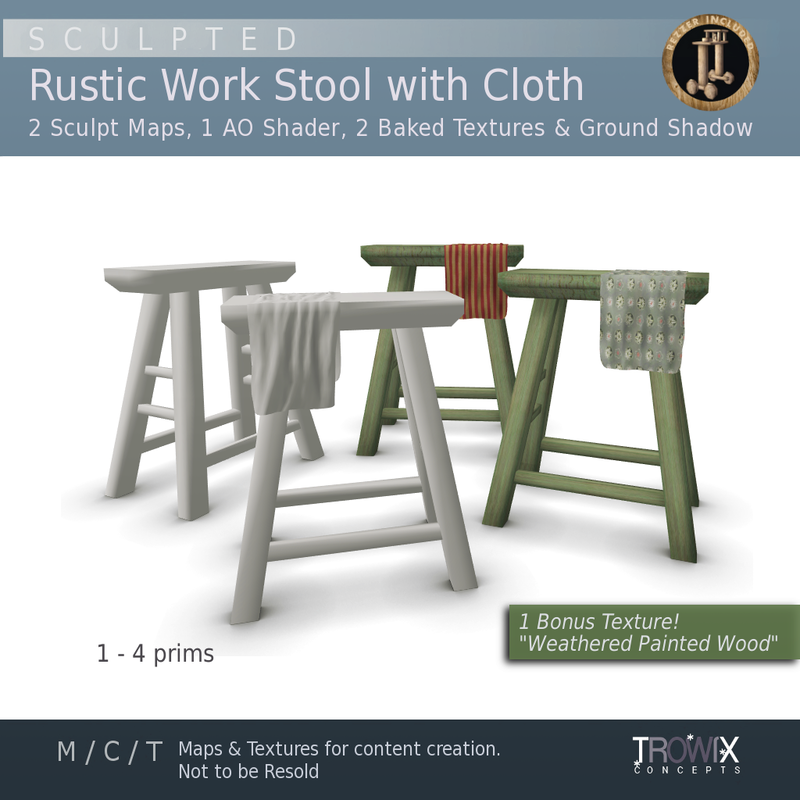 A realistic antique accent with time-worn wood baked textures at home in house or garden. 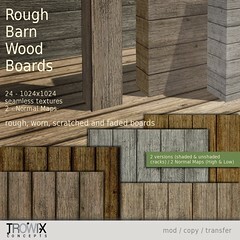 Our latest sculpts & textures used for a rustic chore scene. 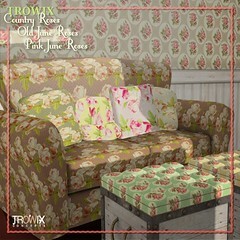 Stop by and see this 1-prim wonder at the Trowix Barn. …we might put you to work! 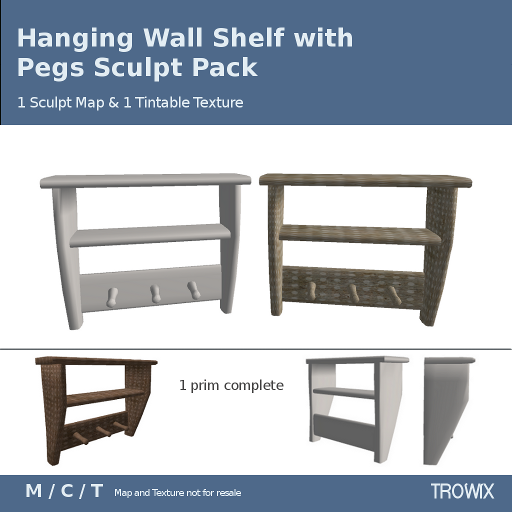 Wall Shelf with Pegs – Quaint! 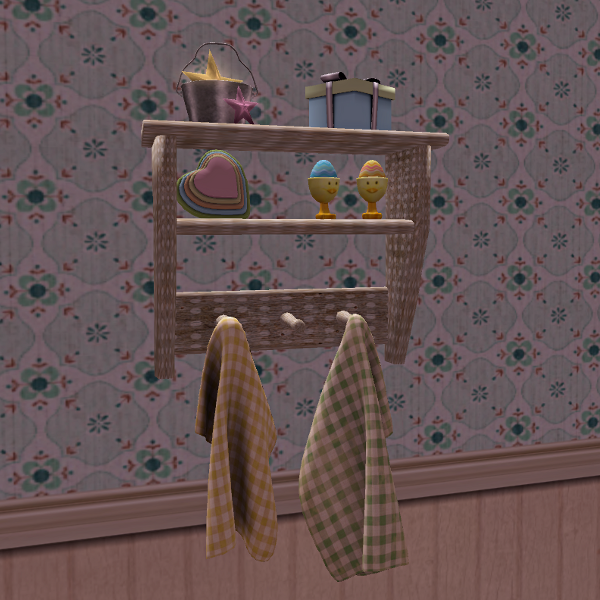 Designed from antique wall shelves used to augment wardrobes and cupboards – handy all-in-one shelving for anything from clothes to hats to kitchen supplies. 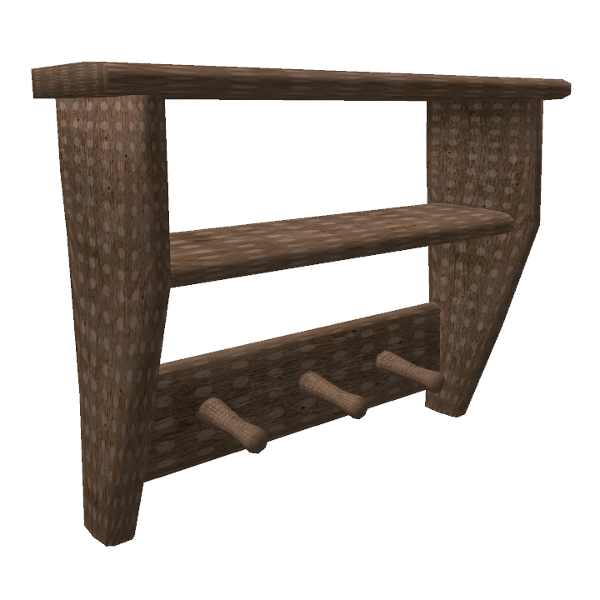 This quaint shelf is only 1 prim, but still LOD2 and you’ll enjoy its easy texturing. ONLY 1 prim & LOD2, also. Quite an accomplishment. 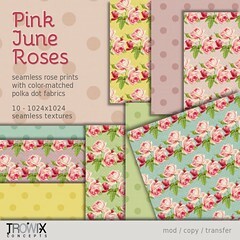 Included is a tintable cute whimsy texture. Suggested texturing numbers on the note card, always. 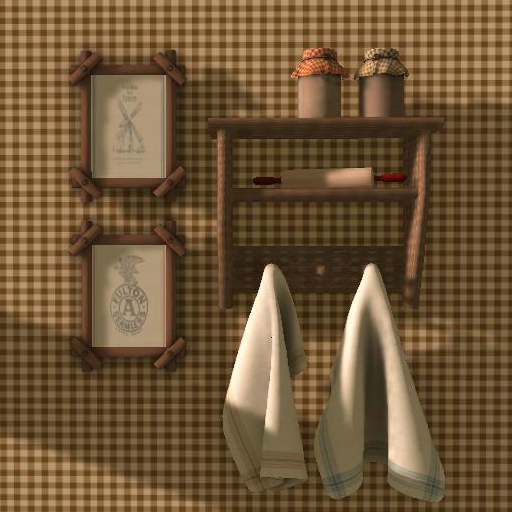 Country kitchen shelves & peek at upcoming texture pack. Monday is sneaking up on us, enjoy it anyhow! 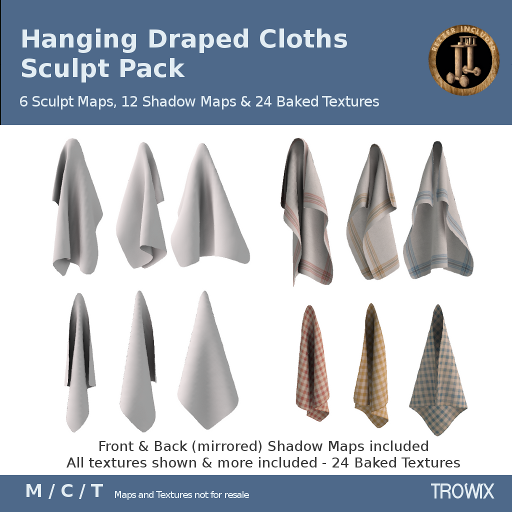 Hanging Draped Cloths – Realistic! Highly realistic hanging cloth drapes carefully crafted for smoothness and detail with no sharp peaked edges and very slightly rounded corners. 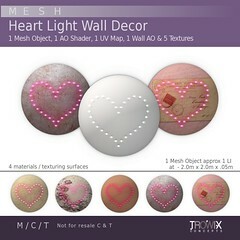 Made for excellent texturing. 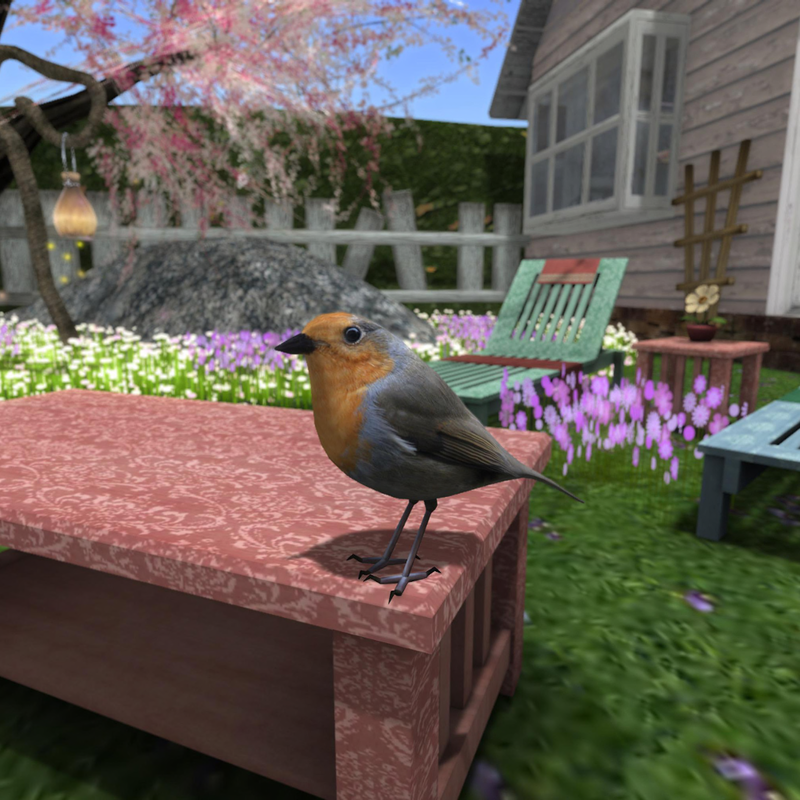 The shadow maps for the mirrored backs create more realism and 360 appeal. You can hang these anywhere! Front & Back shown. All shadowed. All smoothed. 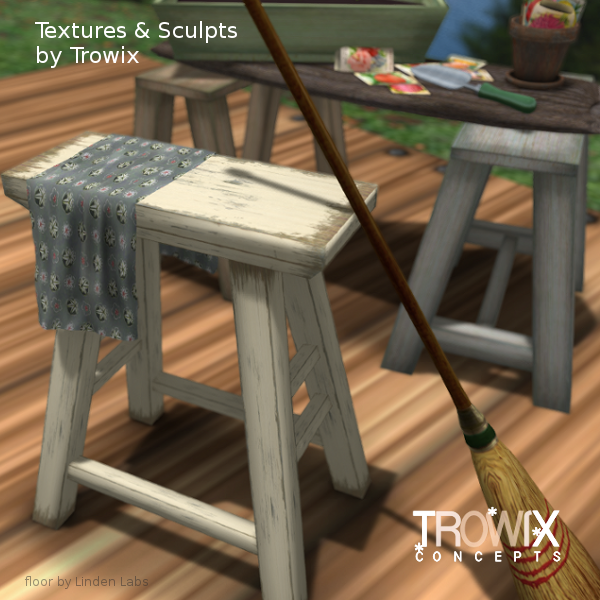 All of the Baked Textures shown here are included! I don’t often say, but I am very happy with these. 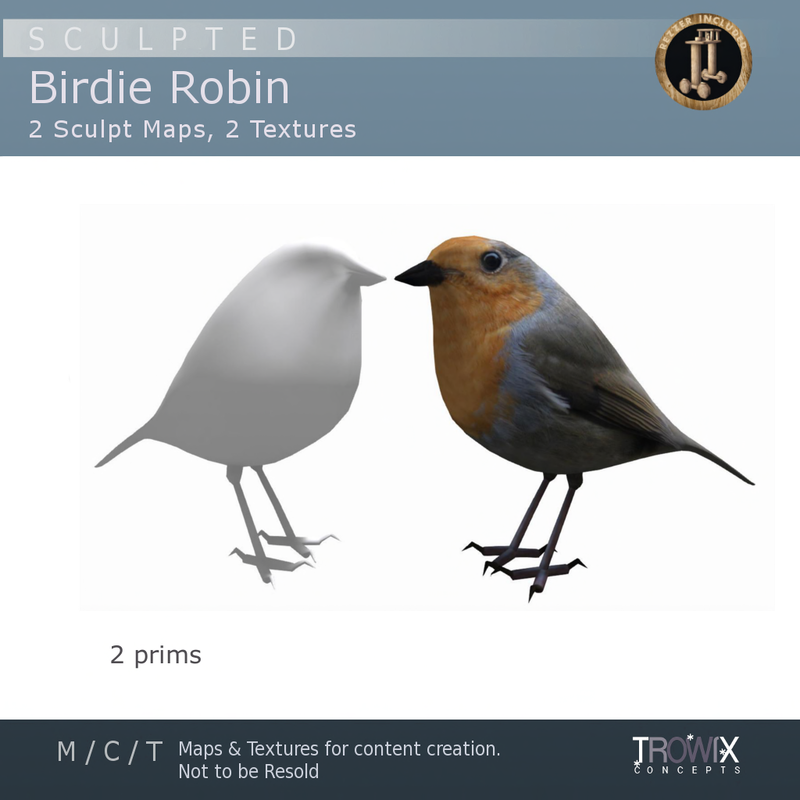 Kudos to Trowa for Blender patience! 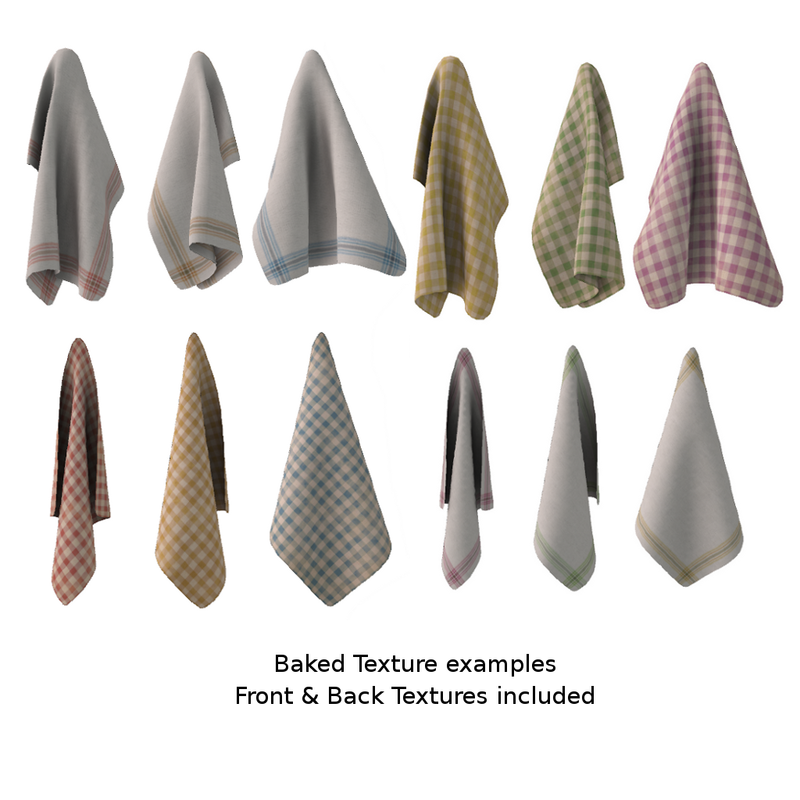 We’ve also made 2 texture packs to match the baked textures. 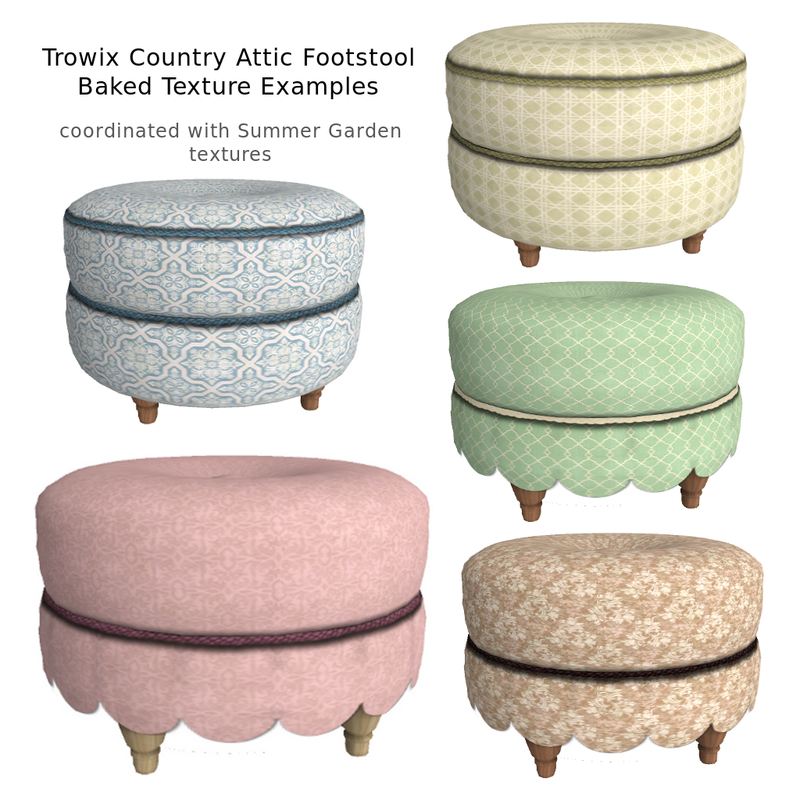 Find these on the floor of .. (kidding) the Trowix Barn.